Cigarette smoking has hit an all time low among young adults. One would normally consider this good news, but unfortunately, they have replaced the habit with one equally as harmful. According to the Centers for Disease Control and Prevention, the use of cigarettes among middle and high school students has decreased significantly. Cigarette use has fallen from 4.3% to 2.1% of middle schoolers and 15.8% to 7.6% in high schoolers. However, the use of e-cigarettes has risen. Nearly 4.9% of middle schoolers in 2018 reported using an electronic cigarette in the past month. This is compared to 0.6% in 2011. 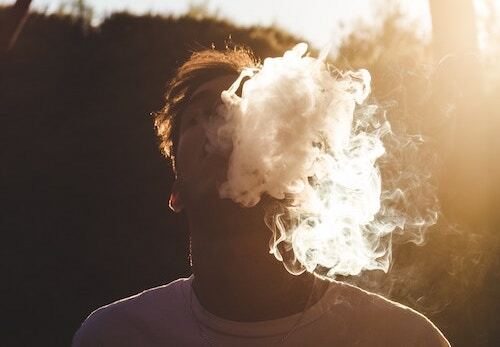 High schoolers reported using an e-cig in the last month at a steep 20.8% in 2018, compared to 1.5% in 2011. At the current rate, the CDC estimates that 5.6 million of today’s Americans under the age of 18-years-old will face an early death due to a smoking-related illness. For a little perspective, that would be 1 out of every 13 Americans younger than 18-years-old right now. Back in the day, cigarette smoking used to appeal to teens because of rumors that it controlled weight and managed stress. Today, smoking e-cigarettes attracts the youth with its range of flavored packs and popularized smoke tricks. On January 8th, the House introduced a bill called the Youth Vaping Prevention Act. If passed, the bill would ban flavored packs that can’t be proven to not “increase youth initiation,” and can be proven to help smokers quit cigarettes. Additionally, the bill would add a federal excise tax to vape products and require age verification for online sales of such products. This would prohibit the U.S. Postal Service from shipping vape products, as they cannot perform age verification at delivery. Currently, e-cigarettes outrank any other tobacco product for both males and females in high school and middle school. Social media and other outlets constantly expose young adults to vaping instruments. This exposure and the use of flavoring packs deceives consumers. They gives the impression that e-cigarettes are not as harmful as cigarettes. This is especially so in the case of using e-cigarettes as a cessation alternative for cigarettes. Wrong, of course. Any nicotine laced smoking agent carries the risk of addiction. That addiction can result in a myriad of health complications: lung cancer, emphysema, chronic bronchitis, heart disease, stroke, macular degeneration, infertility, gum disease, and more. Just like the classic cigarette, e-cigarettes contain multiple harmful chemicals and toxins as well. These include diacetyl (linked to lung disease), benzene (found in car exhaust), and heavy metals such as tin, nickel, and lead. What’s more, e-cigarettes have a couple health hazards outside what you’d expect. They’ve caused fires and explosions from defective batteries and poisonings from e-cigarette liquid absorption through the skin and eyes. Healthcare professionals recommend educating yourself and your children about the risks of e-cigarette use for the developing brain. Additionally, request that your health provider do the same. If possible, act as an example for your child by going tobacco-free. Your company health and wellness provider, such as NDS Wellness, has the means to assist in quitting smoking, or finding healthier cessation alternatives. If you suffer from a chronic condition due to smoking, NDS Wellness can also help you manage it through your workplace. Our fully staffed mobile and on-site clinics improve management and treatment compliance for chronic conditions.